In case the gutters on your home fail to work; they are going to need a device that will keep them from getting clogged. 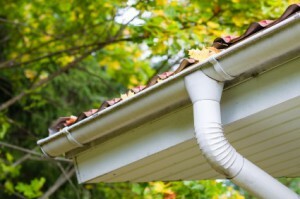 A clogged gutter system including the downspouts can be very damaging to the rest of the home if not taken care. Gutter protection is a device that goes over the downspout and prevents foreign objects from getting into them. The use of a guard like this will efficiently prevent dirt and debris from falling into the gutter. Installing a guard over your gutter can help in saving a great deal of time, money and energy that you would have to put into a spring cleaning for them. In the case that you can’t clean the gutters o your own; there’s an extra expensive of hiring a professional. Unless you have been protecting your gutters with a device, you would need to clean them frequently spending more of your time climbing up and down the roof with bucket loads of debris. Using one of the devices on your gutters in Charlottesville will prevent you from injury and back pain. Water that can’t filter off the roof will eventually make its way into the home and cause lots of damage. Water can also turn into mold when left sitting around. Mold problems are a whole another ball game as mold causes mild health risks. The presence of wet debris that’s inside of a drain will result in the formation of mold. Mold will affect the hygiene of the home’s interior and exterior for that matter. By preventing debris from gathering in your drains; you’re helping to maintain the health and safety of the family. With a utter guard; accumulated debris cannot rust of there’s nothing in the drains or gutter system. Rust is one of the most common problems that’s experienced with gutter ownership. Rust is responsible for reducing the longevity of the drains quite considerably. If you want to make the right decision for your roof; call Cavalier Window Cleaning & Power Washing for gutter protection. A gutter guard comes in a variety of styles and can be installed by professionals that are insured. 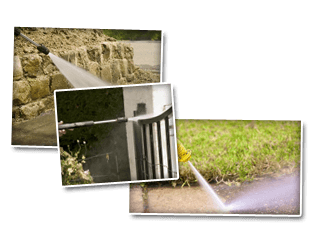 If you are looking for Gutter Protection Services then please call 434-823-1737 or 540-910-1434 or complete our online request form.